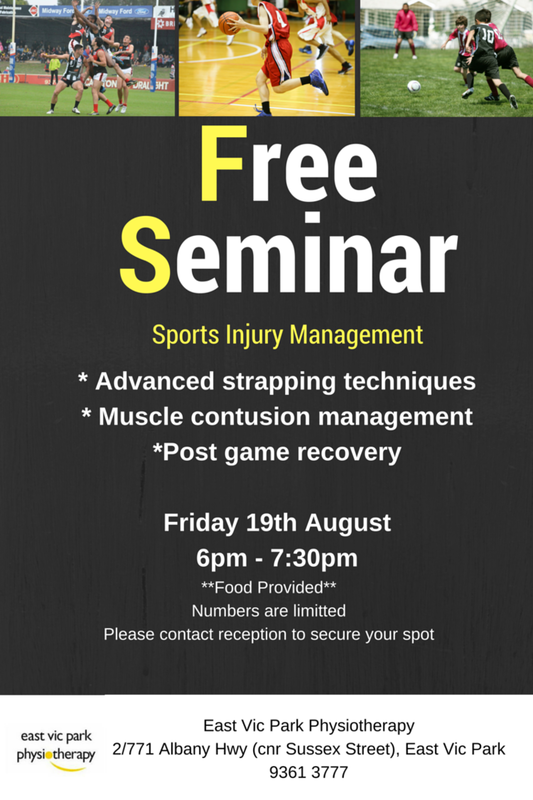 a FREE seminar on sports injury management presented by the Physiotherapists at East Vic Park Physiotherapy. Topics will include muscle contusion (corkie) management, post-game recovery and a practical session on strapping. Appropriate for all athletes, parents, trainers and coaches. Food will be provided - let us know if you have any dietary requests. Spaces are limited so call us on 9361 3777 to secure your place now.